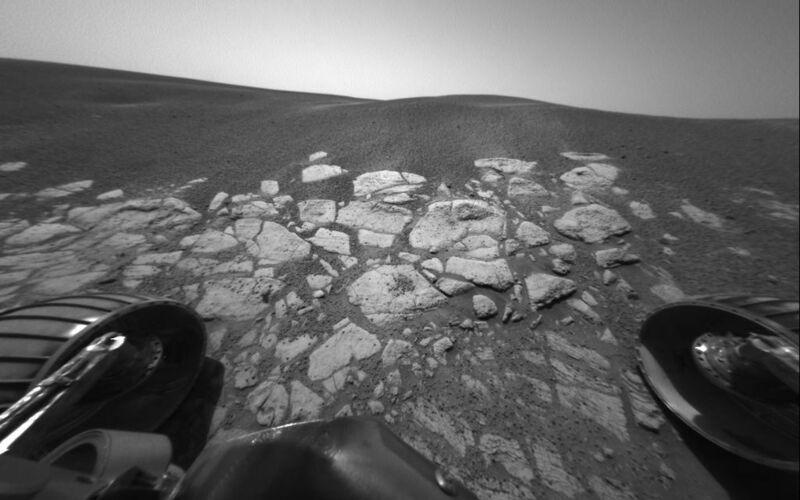 Scientists are hunting down the recipe for the "blueberries" they've discovered on Mars. 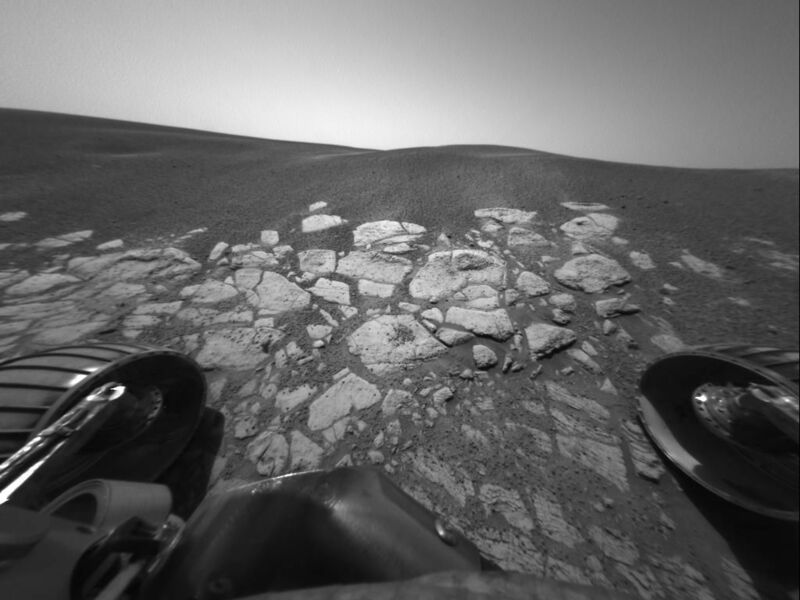 Taken with the Mars Exploration Rover Opportunity's front hazard-avoidance camera on the 45th martian day, or sol, of the rover's mission (March 10, 2004), this image shows the area dubbed "Berry Bowl," where many dark and mysterious spherules or "blueberries" collected in a depression on the surface of a rock. 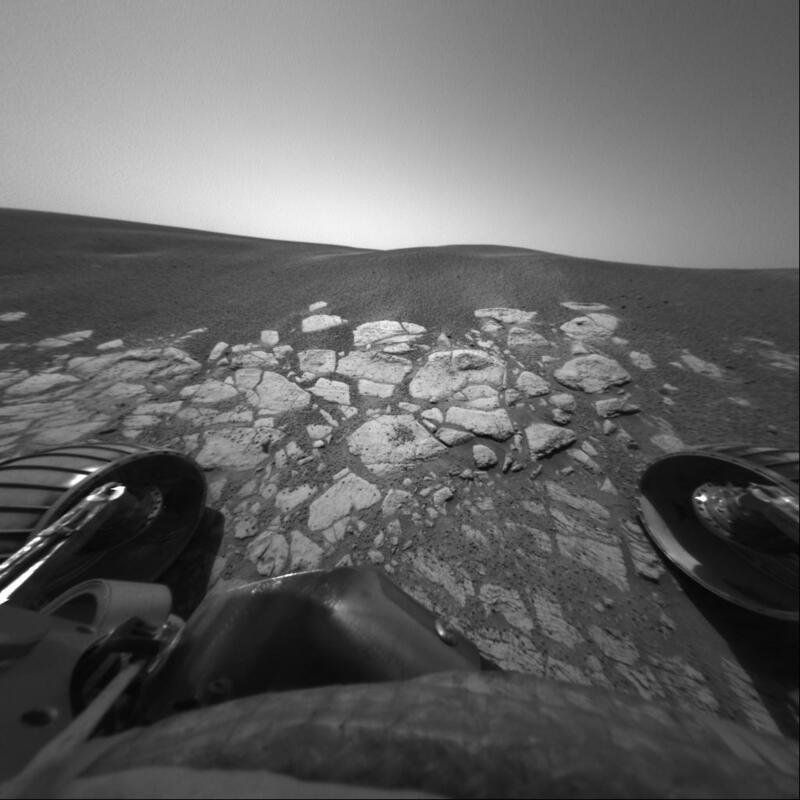 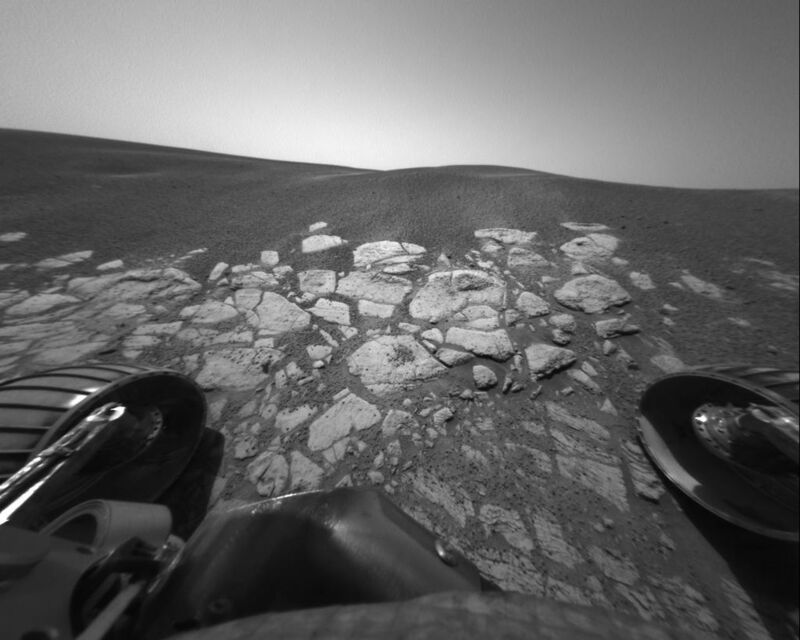 Opportunity is studying the blueberries for clues to their chemical composition with its suite of scientific instruments. 'Berry Bowl' is located within the rock outcrop that lines the inner edge of the crater where the rover landed.